Our Secret Cinema Club is gaining momentum and we are thrilled to announce we are adding two Contemporary French Film nights to the monthly programme in addition to our current classic French films. 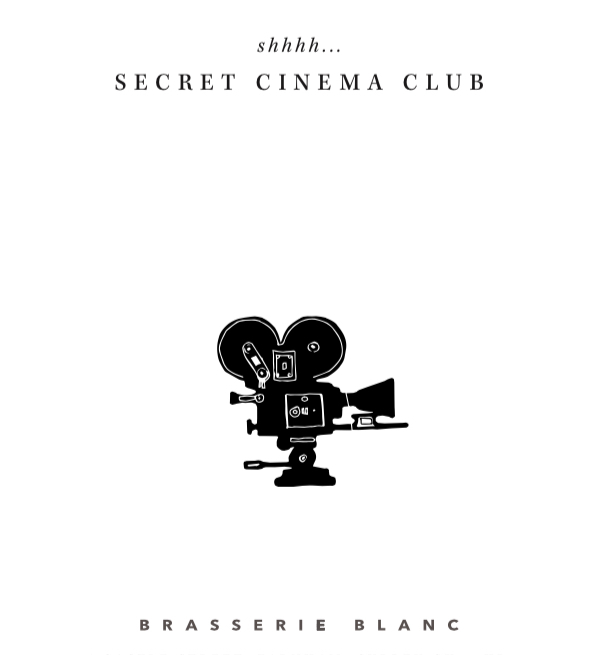 Now every Monday every you can enjoy a two course meal with a glass of wine, served from 7pm, followed by a classic or contemporary French film in our secret cinema, for only £20.00. Space is limited so booking is essential. Films are chosen from French language films, or iconic films with French directors or actors, and occassionally great films that are simply set in France. If you have any suggestions please feel free to give them to us as well. A delightful family comedy based on the best-selling books chronicling the adventures of Nicolas, a mischievous French schoolboy. When Nicolas overhears his parents talking about a new arrival, he knows it can only mean one thing- a baby! PhilippeOne of Jean-Luc Godard’s most reknowned films in which Ferdinand (Jean-Paul Belmondo) leaves his wife and child and runs off with the babysitter Marianne (Anna Karina). The pair head south to find Marianne’s brother, with Ferdinand getting caught up in Marianne’s crimes along the way as they both spiral toward destruction. Memorable for Raoul Coutard’s deep and lush photography, it offers a spontaneous musical sequence under the pine trees, elements of the gangster genre and a tragic account of the transience of love, meanwhile Godard manages to address the nature of the film medium itself. Eliane is a wealthy French plantation owner living in Indochina in the 1930’s with her father and adopted native daughter Camille. She has a brief affair with a young officer, John Baptiste, but to her dismay discovers Camille has fallen madly in love with him. Eliane is able to arrange to have him transferred and Camille gets married to another man. However, Camille never stops loving Jean- Baptiste and sets out across the country to find him.